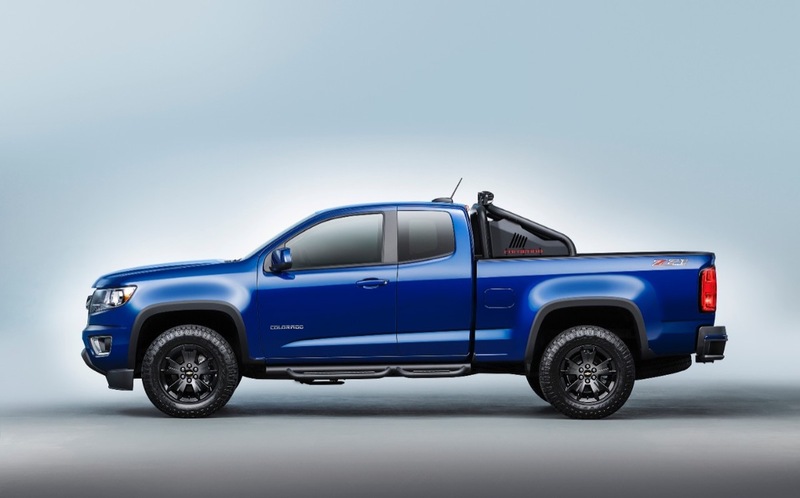 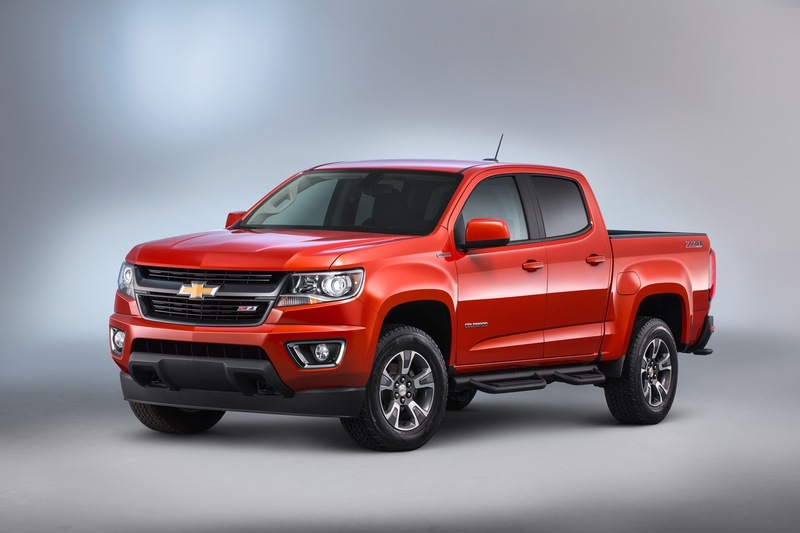 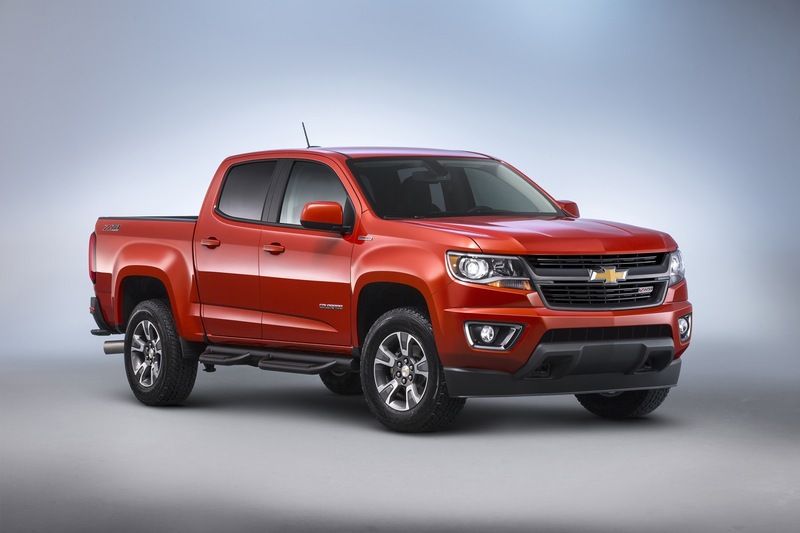 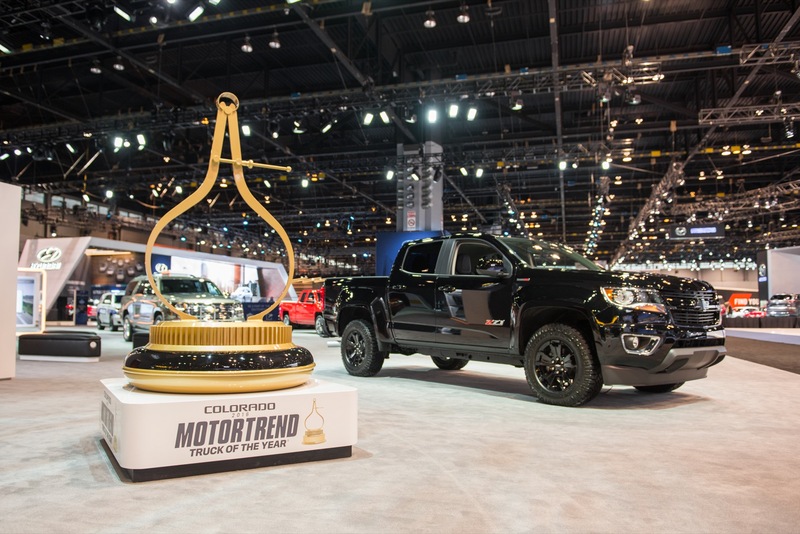 The design of the 2016 Chevrolet Colorado goes unchanged from the 2015 model year, when the truck was launched. 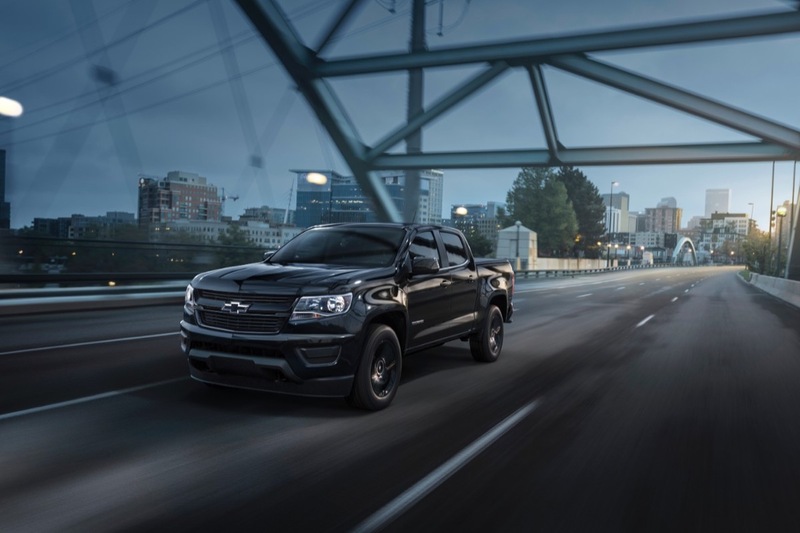 Compared to the International-market Chevrolet Colorado, the North American-market Colorado features unique cabs with a confident stance and a sporty demeanor. 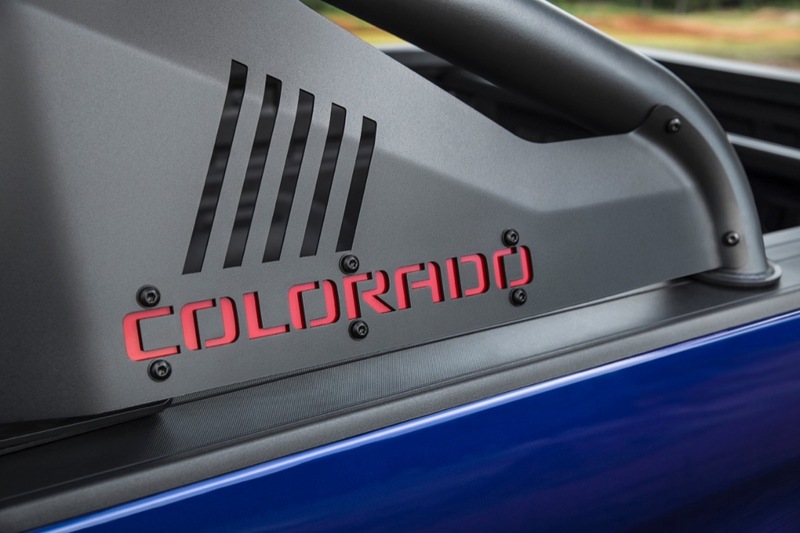 In addition, 2016 Colorado cabs feature triple-sealed doors inlaid in the body sides for improved aerodynamic performance and a quieter interior. 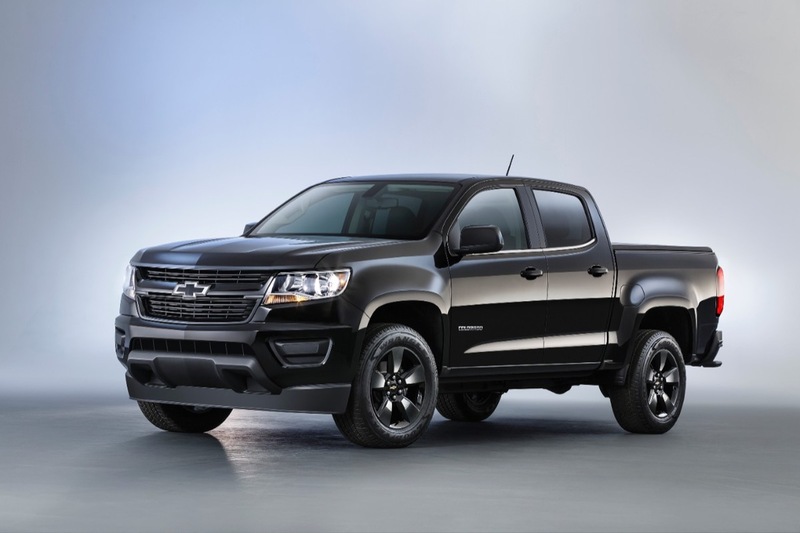 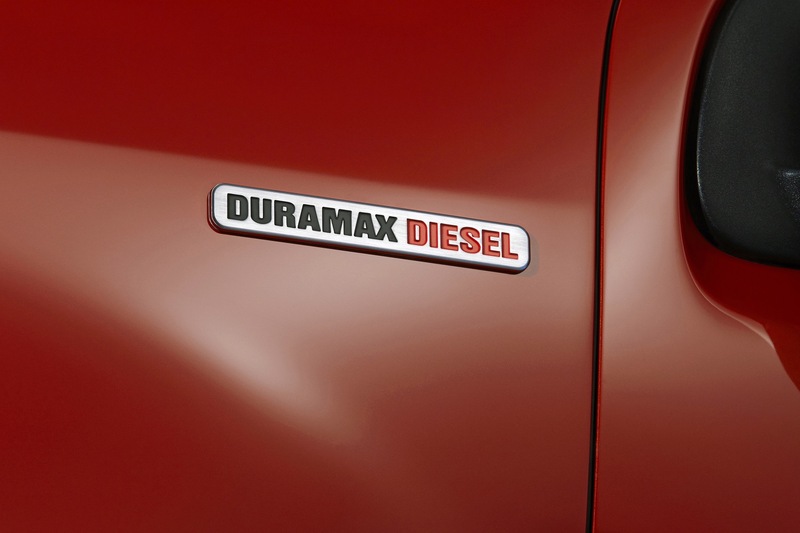 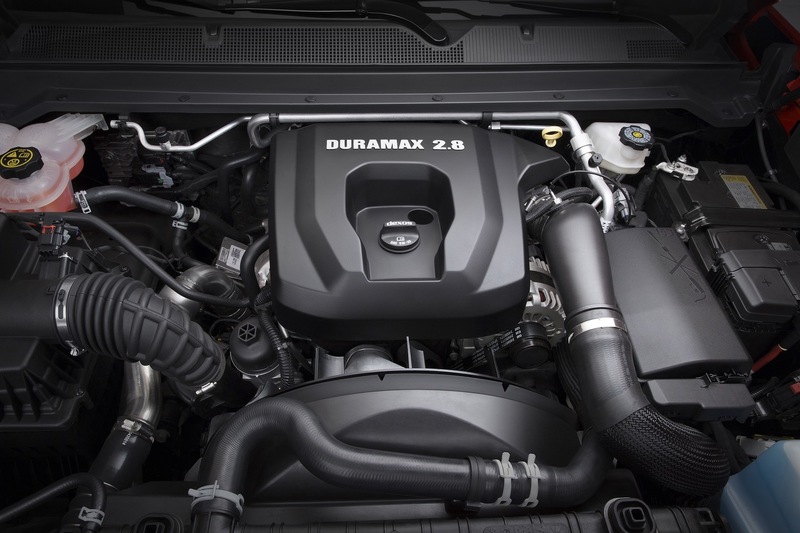 To help keep overall mass down, the Colorado uses lightweight materials such as a segment-first aluminum hood. 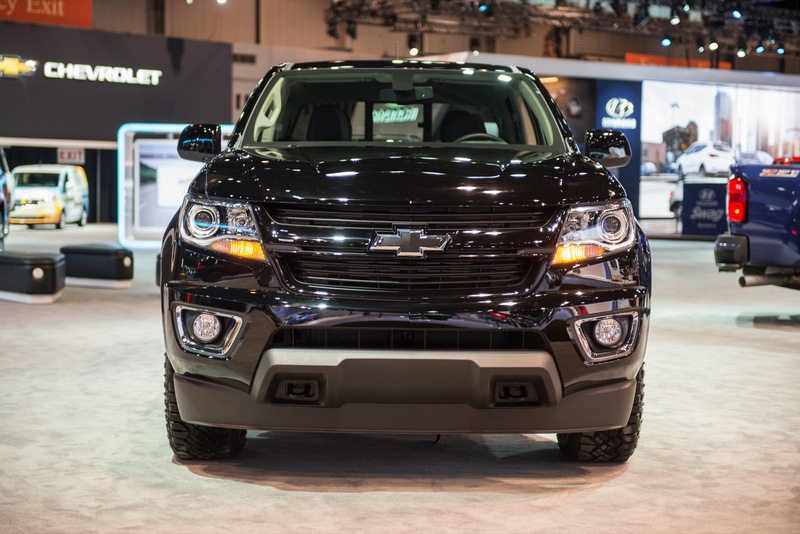 The Colorado also offers the segment’s first active aero grille shutters, which enhance aerodynamics when closed and open when engine cooling is needed. 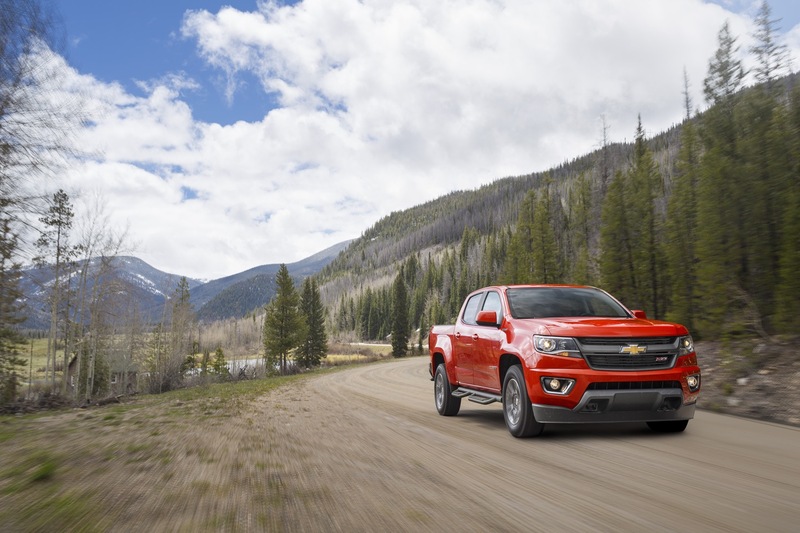 To ensure loaded items remain in place while the vehicle is in motion, the bed of the Colorado features thirteen standard tie-down locations for use with available, movable cargo tie-down rings. 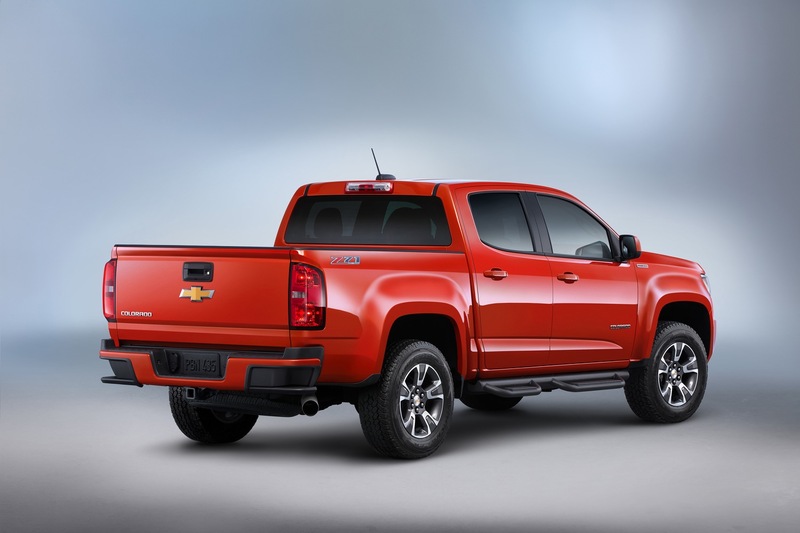 A two-tier loading system is standard. 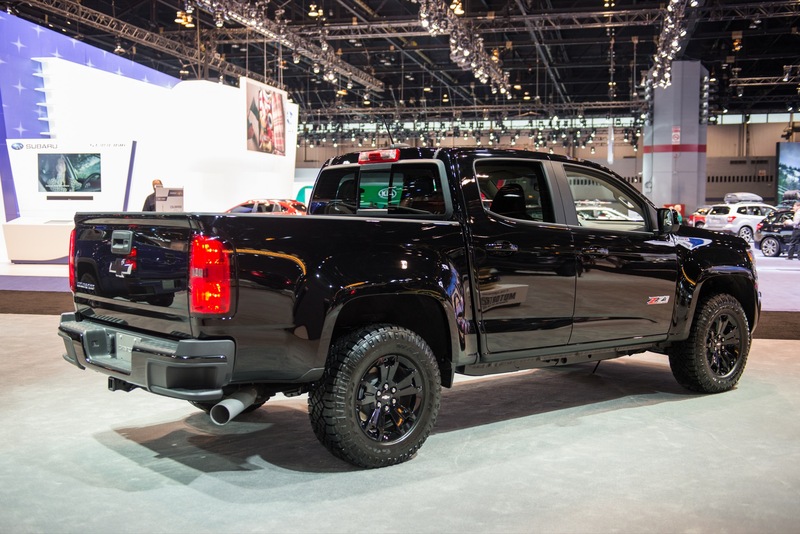 It allows a platform to effectively split the bed into upper and lower sections, making it easier to haul, store and conceal items such as tools. 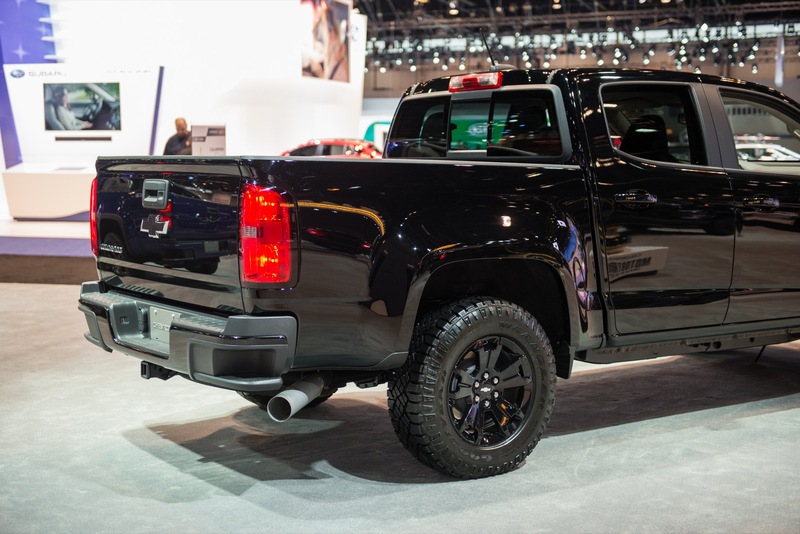 Colorado offers GM’s EZ Lift-and-Lower tailgate that uses an internal torsion bar to make raising the tailgate easier with one hand, and a damper for controlled lowering. 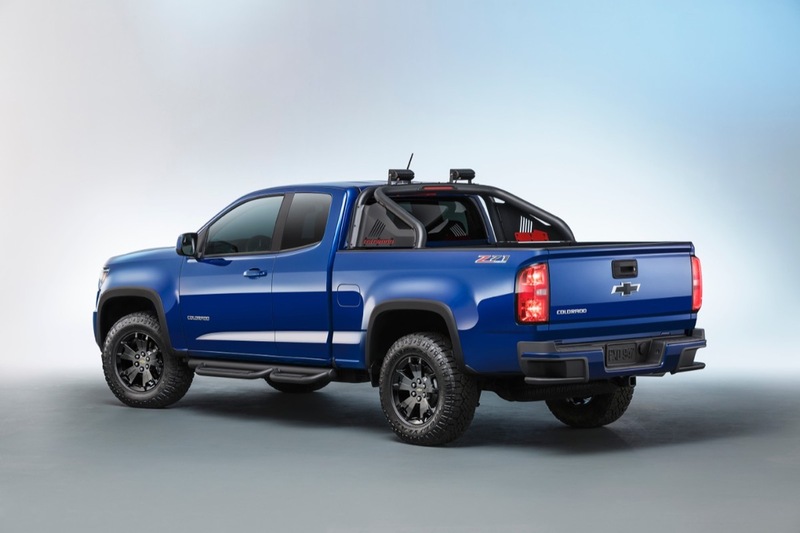 The EZ Lift-and-Lower tailgate is standard on Z71 and available on WT and LT models. 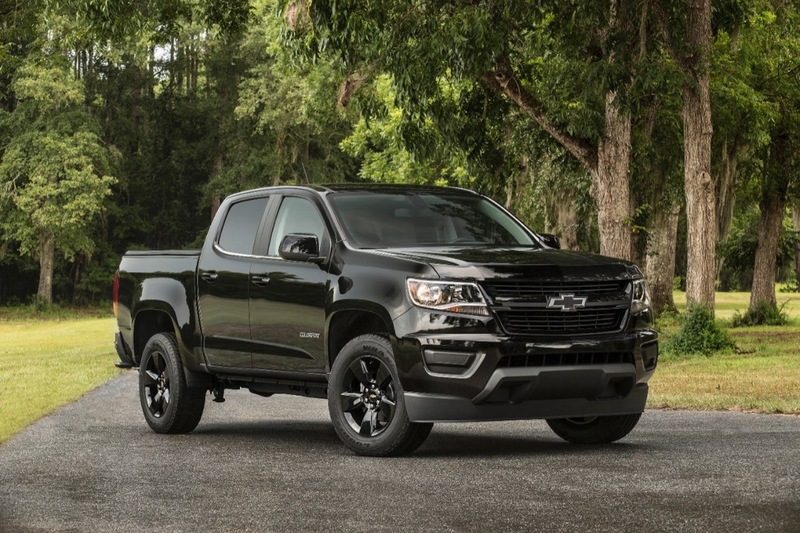 The Colorado features CornerStep rear bumper design, pioneered on the 2014 Silverado, making it easier to load and retrieve items. 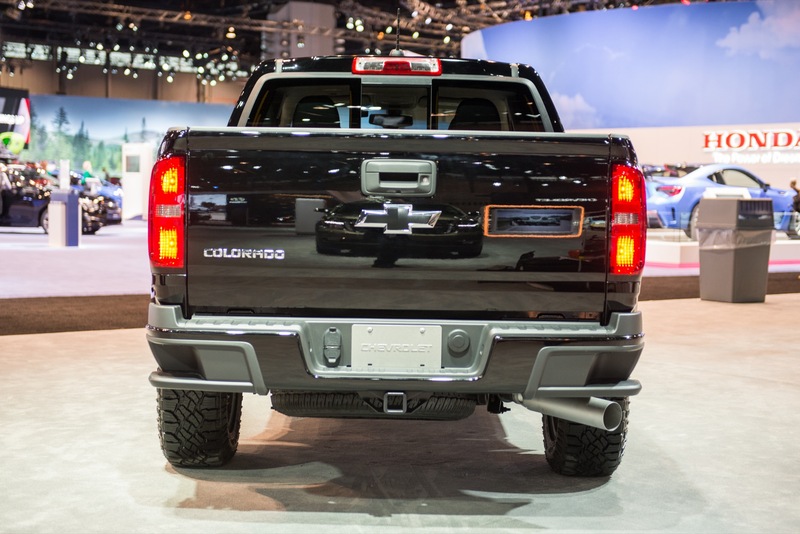 Colorado comes standard with large rearview mirrors for greater visibility and safety. 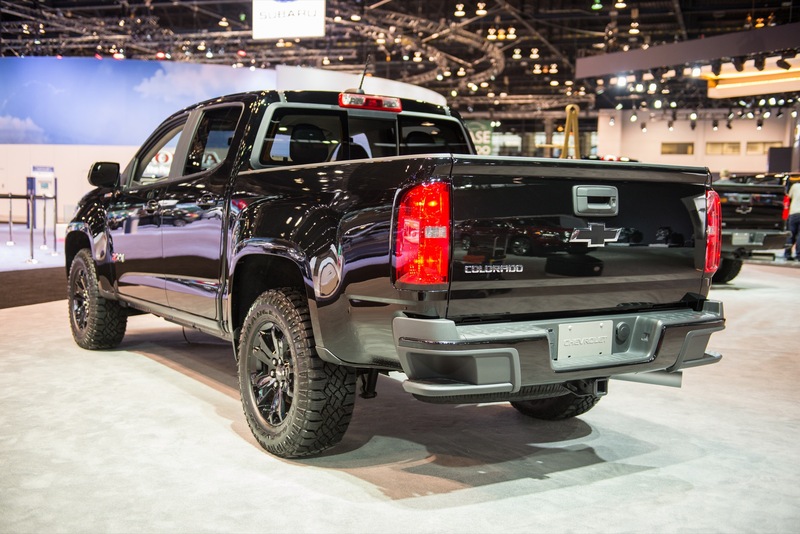 An auto-dimming inside rearview mirror and heated outside mirrors with chrome finish are available on the Luxury Package. 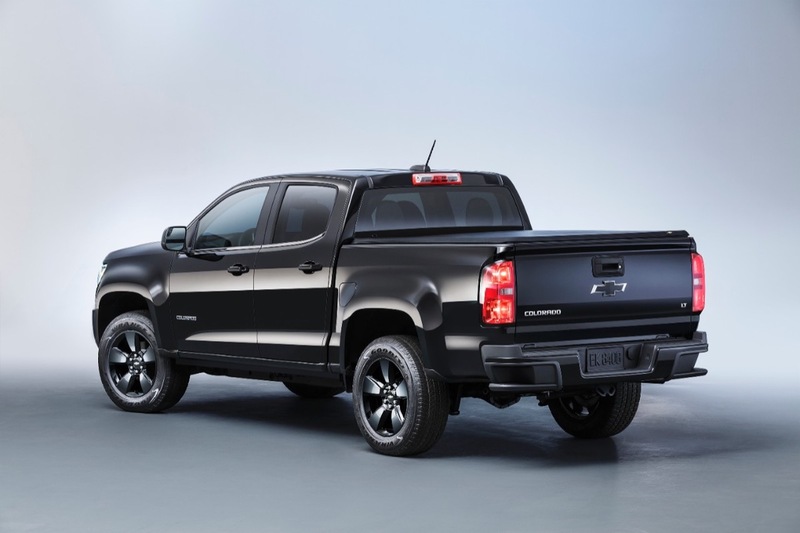 A rear-vision camera system is also available to further enhance safety and visibility. 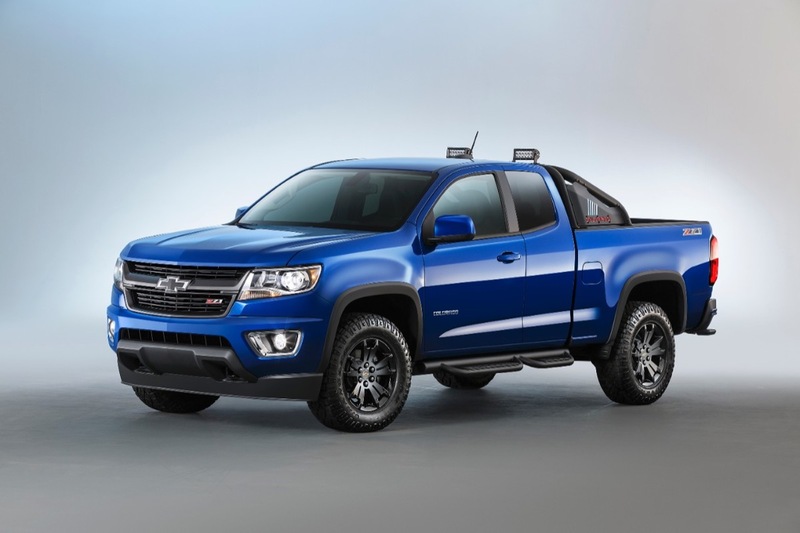 Complete details on the 2016 Colorado body styles (with pictures). 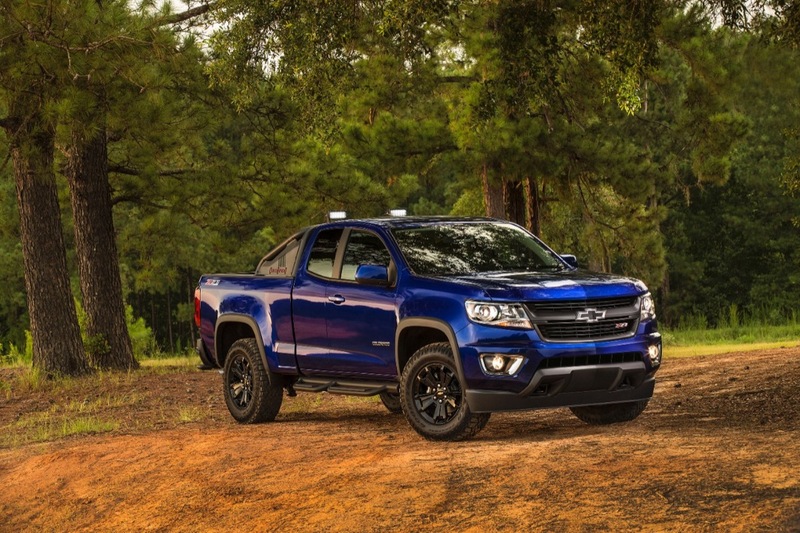 2016 Chevy Colorado colors are comprised of nine exterior colors and two interior color combinations. 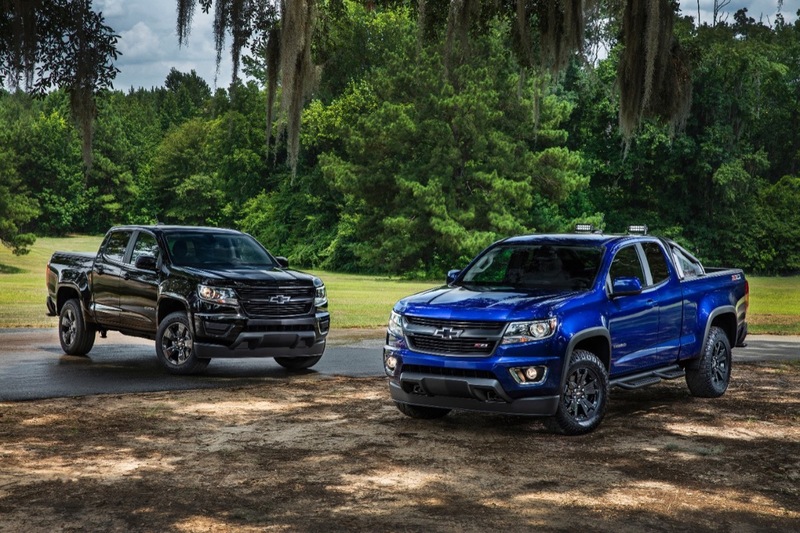 Complete details about 2016 Colorado exterior colors. 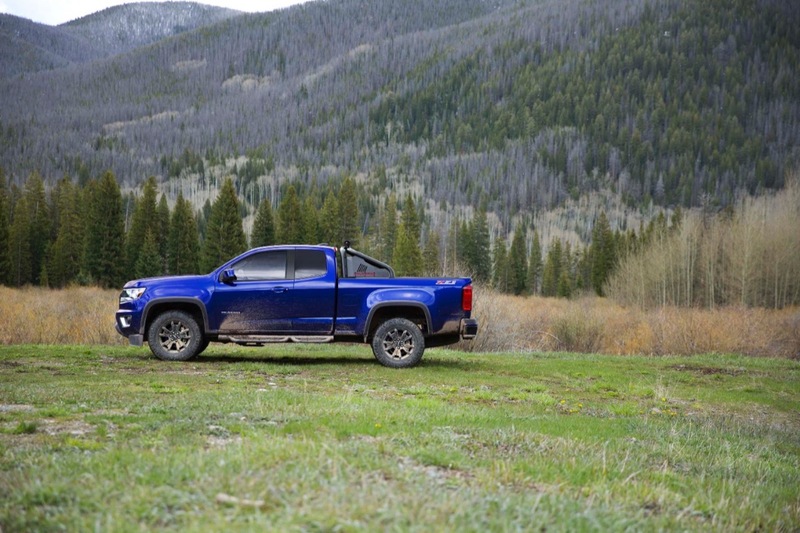 Complete details about 2016 Colorado interior colors. 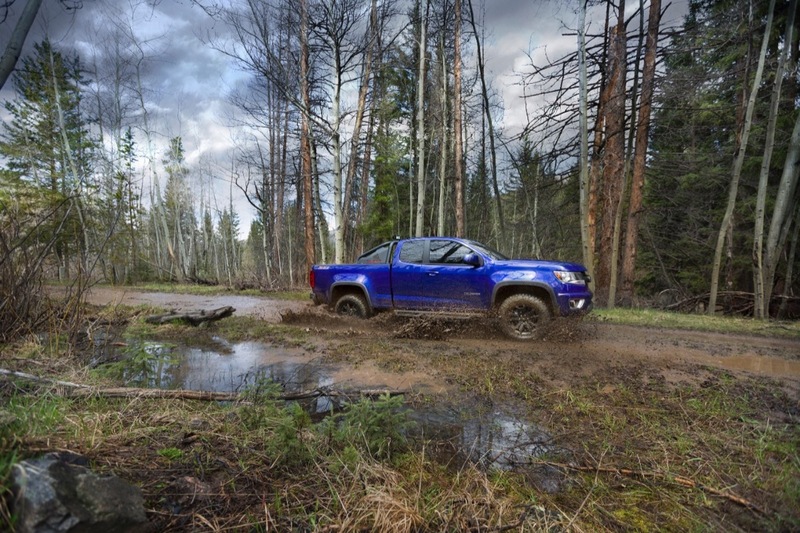 The 2016 Colorado offers a choice of eight stock wheel options. 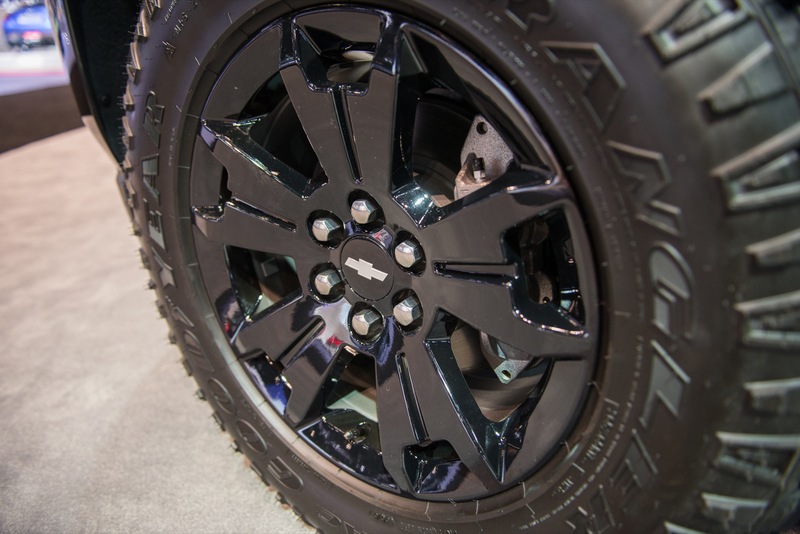 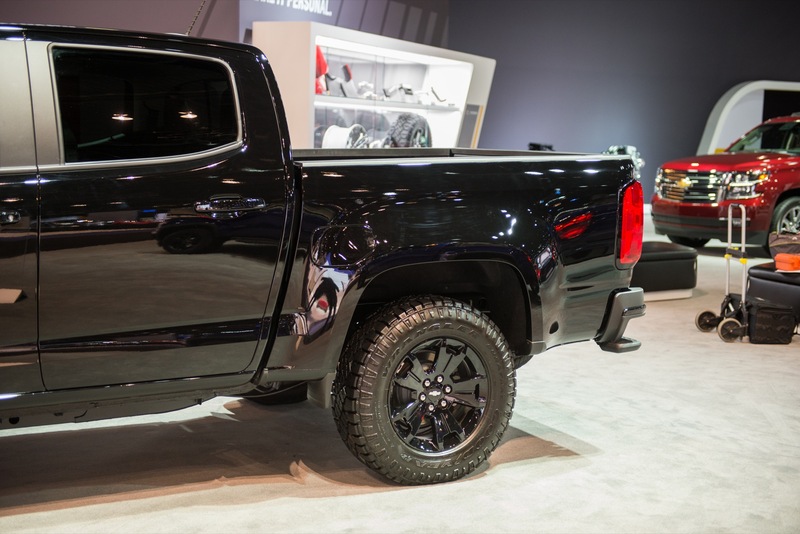 Complete details on 2016 Colorado wheels. 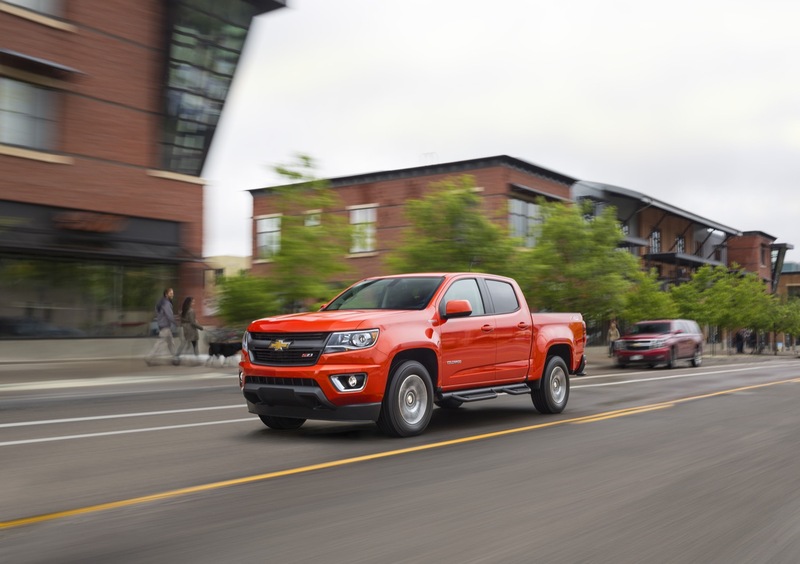 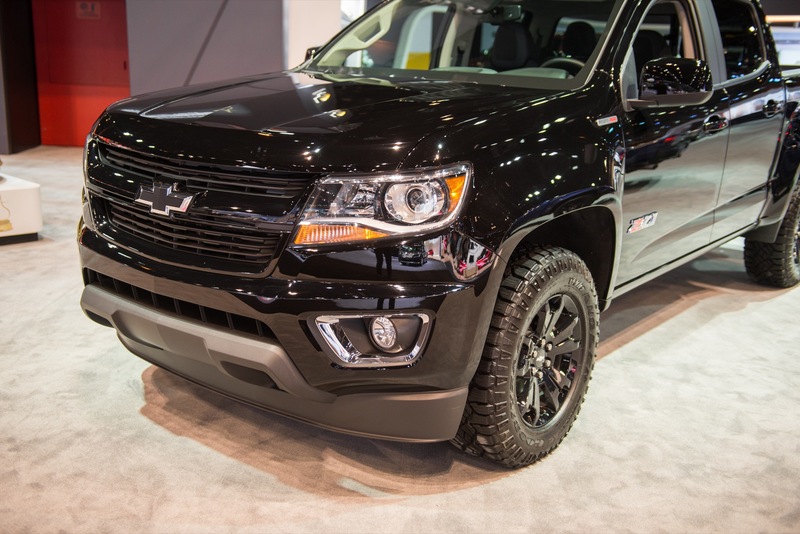 The 2016 Chevy Colorado offers a choice of four stock tire options. 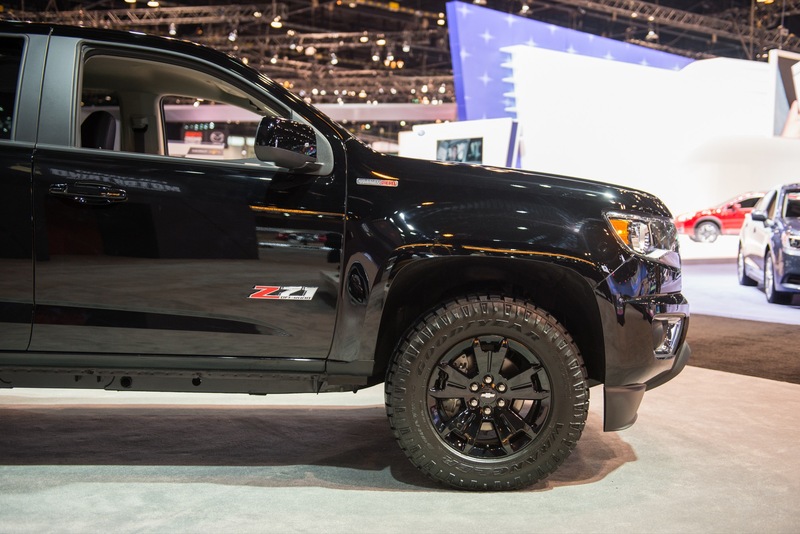 Complete details about 2016 Colorado tires. 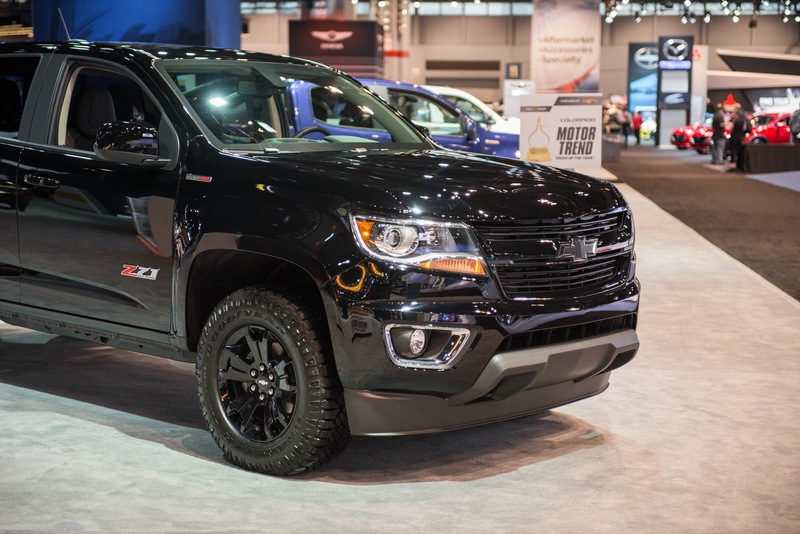 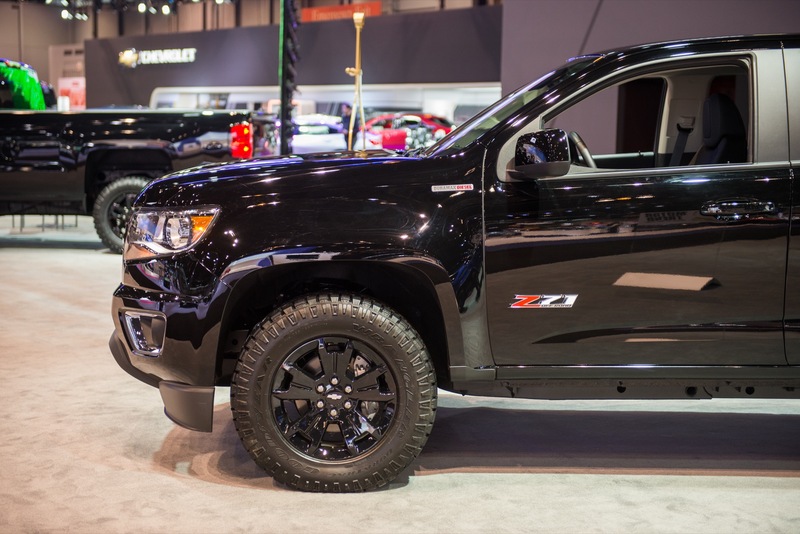 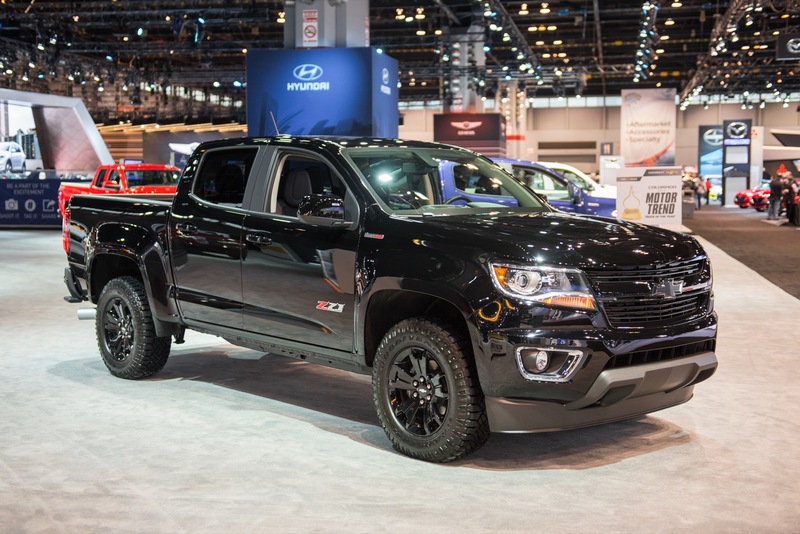 Complete details about 2016 Chevy Colorado special editions.